Yesterday, I had the pleasure of meeting with a group of visitors from Australia. This impressive group was composed of persons who work with the Australian Government or political groups affiliated with the government. They were spending time here in NC to obtain a better understanding of our overall political climate and the issues facing our state as we approach the upcoming General Election. I was able to provide this group with an overview of how our General Assembly is elected and how we function and operate on a day-to-day basis. I also provided them with an overview of the changes that have occurred in NC over the past decade and of the critical issues facing our state at this time. 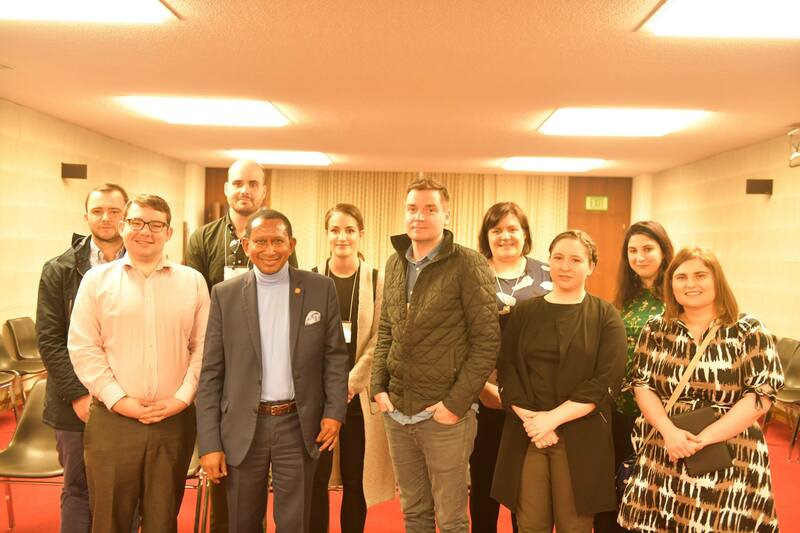 They asked very thoughtful and intriguing questions which provided them with an opportunity to learn and contrast how we operate here in NC as opposed to how they operate in Australia. I enjoyed meeting this group and I hope that they will stay in touch in the years to come. This group was part of a program which is sponsored by the US Department of State’s Bureau of Educational and Cultural Affairs and they were a part of the International Visitor Leadership Program. This group included Ms. Claire Angela Bradley, Ms. Julia Elizabeth Dixon, Ms. Carina Mary Lindsay Garland, Ms. Emeline Melissa Gaske, Mr. Jeffrey Alexander McCormack, Mr. Richard Roy Kilpatrick Newton, Mr. Jonathan Persley, Mr. Bryce Maurice Roney, Mr. Brodie Thompson, and Ms. Malwina Wyra. I’d like to thank Mr. Sam Lasris who invited me to meet with this group and who assisted with their visit in NC.